Brand new CNC machined turbo oil feed restrictor (.030") to -4AN male thread. 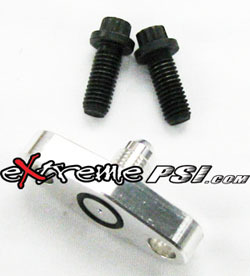 Includes flange adapter and two bolts. Want this item shipped on April 22? Order within the next 46 hrs 42 mins.